Monday – Thursday, Sunday: 11:00 a.m. – 10:00 p.m.
Friday, Saturday: 11:00 a.m. – 10:30 p.m.
Friday, Saturday: 11:00 a.m. – 11:00 p.m. 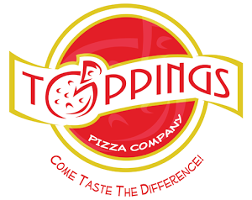 Enjoy a great meal from Toppings Pizza Company at any event. We offer Italian catering services throughout Frederick, Maryland, and the surrounding areas. Our catering menu includes classics, such as chicken Alfredo, chicken parmigiana, baked ziti, lasagna, and eggplant parmigiana. Our services are ideal for groups of up to 100 people. Prices vary depending on your specific needs. Please give us at least 24 hours' notice when scheduling catering for your event. Contact us to find out more.